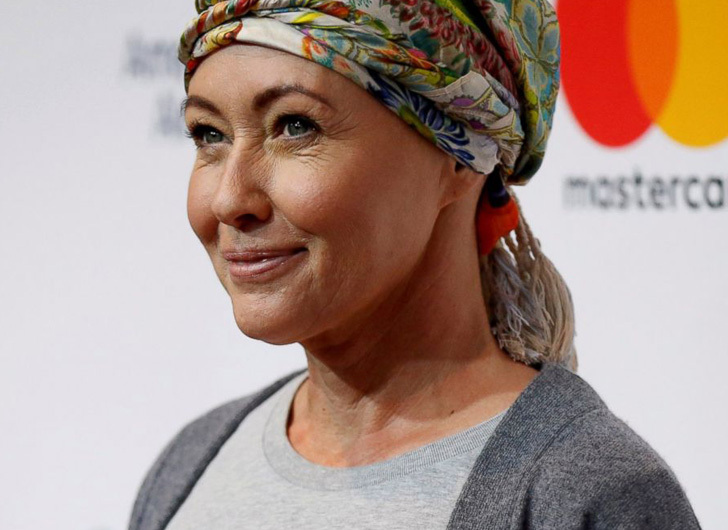 Making her first public appearance after completing chemotherapy last week, actress Shannen Doherty spoke to US Weekly about how she is feeling post-chemo. Shannen revealed to US Weekly how “blessed” she feels to have had all of the positive support from people around her, including husband of five years, Kurt Iswarienko. Shannen stepped out on the red carpet, with Kurt by her side, to host the Animal Hope and Wellness Foundation’s first ever annual Gratitude Gala in West Hollywood – a cause dear to her heart. Shannen first went public with her breast cancer battle in 2015. The Beverly Hills 90210 alum has since undergone a mastectomy, radiation and chemotherapy – a journey she has bravely shared on social media.